Loading... Developed By WhatsApp Inc. | Updated On Apr 3, 2019 | (100% Clean – Tested). Download the latest WhatsApp application for Windows PC (32-Bit, 64-Bit). 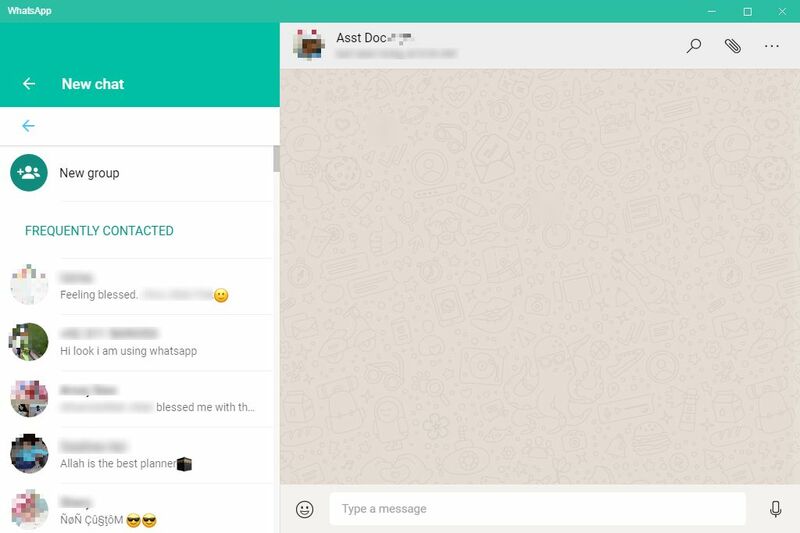 WhatsApp for desktop is an enterprise-grade freeware social media application for PCs, which has been around the virtual world not for long. It’s a good thing to grasp that the mobile app which was once solely developed for smartphones is now available for the Windows OS too. However, the king of social media apps doesn’t allow video and voice call through the platform. Per contra, it is end-to-end encrypted and as secure as that of the program’s phone-based version while being equipped with all other robust features that could be experienced with the smartphone app. 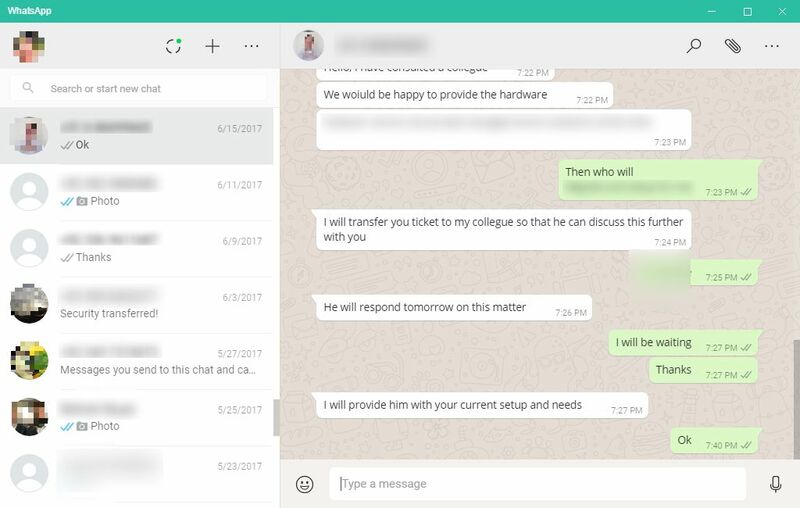 Fortunately, it’s almost impossible for anyone to access the conversations (except the user), neither the WhatsApp team. The built-in camera is enabled to hurriedly share-worthy moments; further, the voice notes, PDfs, spreadsheets, slideshows and documents for up to 100MBs can be shared as easy as winking. 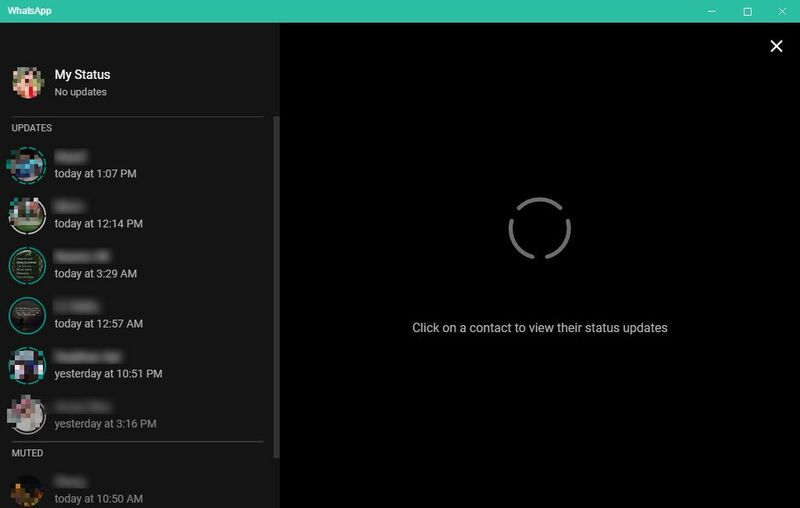 Surprisingly, Whatsapp for PC syncs all the chats and the conversations for connecting friends and family locally or internationally, while being compatible with the slow networks, cool!. Effortlessly straightforward and easy to use with a simple interface that is ever-ready to deal with the turmoil of looking over the cell phone while working on the Computer. The Windows/PC version requires Windows 8 or Windows 10, further, it necessarily demands to be activated and operative on the cell phone to set the motion on PCs. 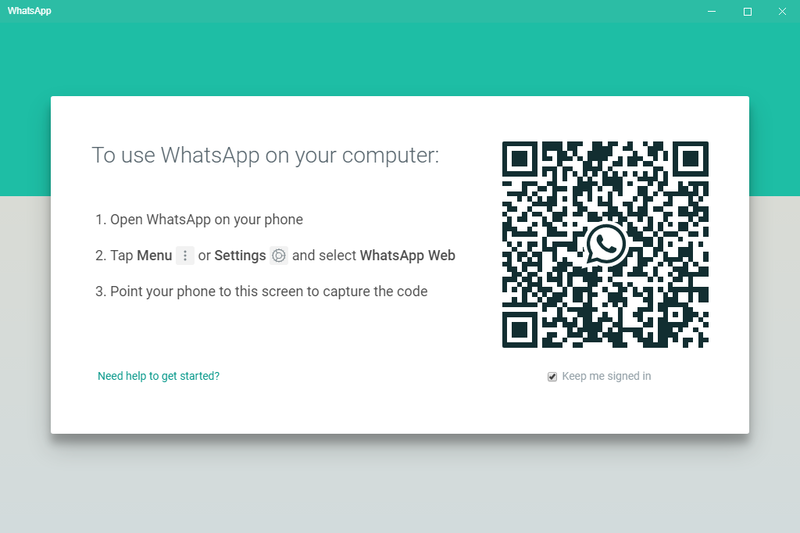 Back to the start, as soon as you download Whatsapp web on a Computer system it generates the QR Code, go to the application’s Settings on the smartphone> WhatsApp Web/Desktop, scan the code and you are connected lickety-split. No passwords or logins required, scan the QR code and it is all set to run. File Size: 125 MB (131,497,984 bytes). Compatibility Windows 8 & 10 (32-Bit). File Size: 133 MB (139,870,208 bytes). Compatibility Windows 8 & 10 (64-Bit). The application permits creating groups for up to 256 people, enabling to share anything through the client at once. 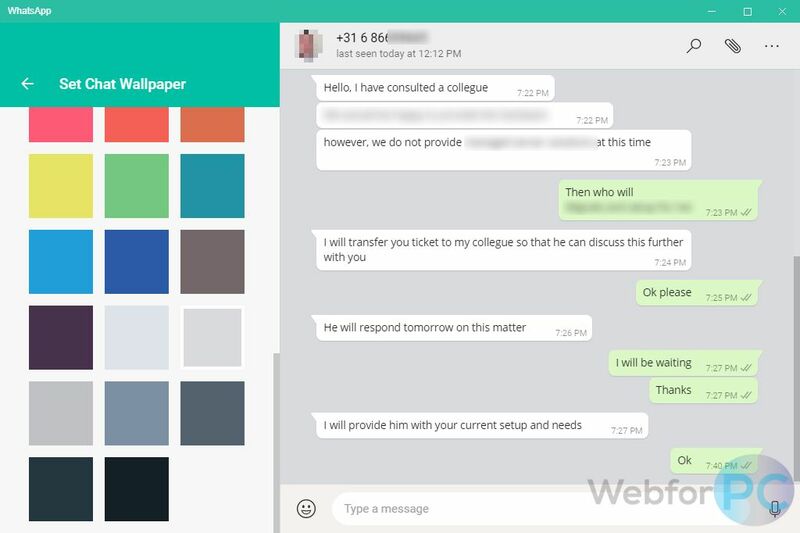 Star the incomparable bits of conversations individually for later use, enjoy the WhatsApp status updates from contacts in the list, customize the groups or private discussions with desired wallpapers by adding different colors and name the groups willingly. Block the unwelcomed and inadmissible contacts or unsolicited messages and unblock comfortably when desired, further, one may choose to turn off the notifications or alerts from the app to avoid the bustle. Well! the app’s desktop version is oriented for the users to enjoy the conversations by keeping phones in the pocket.
. Updated On: 3rd of April, 2019.
. OS Support: Windows 10/Windows8.
. Setup Size: 125 MB & 133 MB.